Growing with the community since 1967. Come and see the difference! 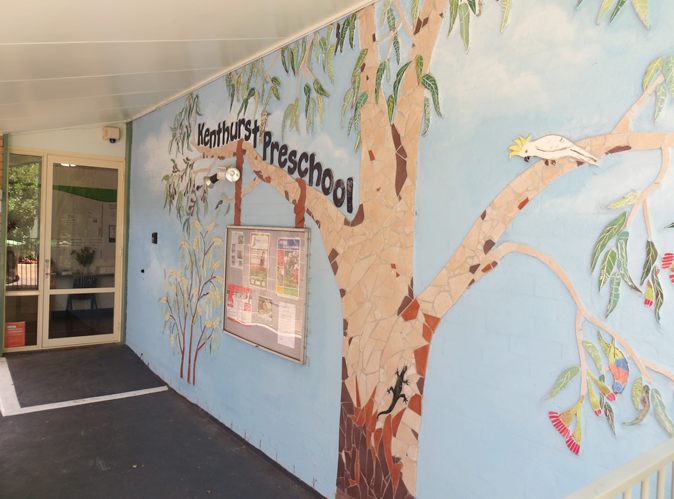 Wish to enrol your child at Kenthurst Preschool ? Opening Hours are 8:15am to 3:45pm Monday to Friday during public school terms. We are closed on all public holidays. We offer developmentally appropriate education for every child. Our preschool is well equipped and staffed by dedicated, experienced staff with excellent qualifications. If you would like a sneak peak inside our centre, click here to view our photo gallery. Also view images of outside the preschool and special occasions. Our preschool is situated in Kenthurst and is an easy drive ( 10-15 minutes ) from Kellyville, Rouse Hill, Dural, Glenhaven and Castle Hill. The preschool is managed by a parent committee elected at its Annual General Meeting each year. Kenthurst Preschool receives operational funding from NSW Department of Education & Communities and income from fees paid by parents. We also receive donations from the fundraising efforts of the preschool's Parents' Club. Additional state funding is received for inclusion support for children with additional needs. Children bring their own morning tea and lunch. Afternoon tea can also be sent if you choose.